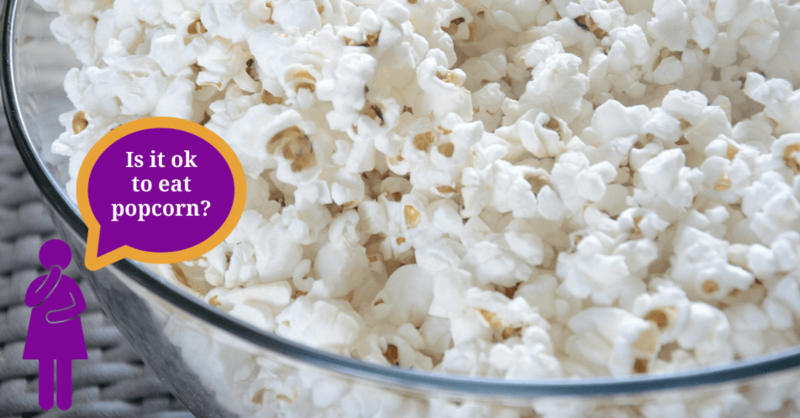 » Prediabetes and Popcorn: Can I Eat Popcorn? Ok, let's get something straight right away. You can eat popcorn when you have Prediabetes because popcorn is a whole grain! Popcorn has tons fiber just like all whole grains, AND since fiber is the key to you getting control of your blood sugar...popcorn can be on your menu! BUT before you run to the microwave or the movie theater, you MUST read the rest of this blog post! There's ONLY ONE WAY to prepare popcorn that's healthy for you. The rest of the ways to cook popcorn are terrible for you and you'll get way more than you bargained for if you eat them. Let's first start with the worst ways to cook popcorn and then, at the end, I'll tell you the ONLY healthy way make it. Can I Eat Movie Theater Popcorn? No, movie theater popcorn is cooked in oil. So along with your popcorn you're eating saturated fat. Even if you get NO buttery topping, your popcorn is still covered in oil and you'll be eating hundreds of calories of fat. Movie theater popcorn is also drenched in salt. Eating lots of salt is directly linked to high blood pressure. Check out the calories, fat and salt below that you'll be eating in a serving of movie theater popcorn. If you add the buttery topping, that's even MORE fat and empty calories!! Yuk! Can I Eat Microwave Popcorn? Don't do it! Microwave popcorn is packed with saturated fat, which increases your risk for heart disease. It's also ultra processed with flavors, colors and other junk. Even the bag is a health risk! Microwave popcorn bags are lined with chemicals. One of those chemicals is PFOA (perfluorooctanoic acid). This chemical is a hormone disruptor that is linked to reproductive issues, birth defects and metabolic issues like blood sugar problems and lipid problems. You can learn more about hormone disruptors here. ...but the health risks don’t stop there. Microwave popcorn is full of heart-clogging saturated fat, including some that's rancid (rancid fat is toxic, gross me out!). What's with the Color & Flavors in Microwave Popcorn? ​That's because the butter will go rancid at room temperature after about 2 weeks. Rancid butter tastes and looks terrible! Colors and flavors are added to products containing butter to mask the terrible taste and color of rancid butter. What's With the Vitamin E/Tocopherols in Microwave Popcorn? Well, since butter goes rancid very quickly, processed antioxidants like Vitamin E/Tocopherols are added to slow down how quickly the butter goes rancid. Vitamin E is not natural...it's extracted, with chemicals, from soybean oil. What's with the Palm Oil in Microwave Popcorn? Palm oil won’t go rancid for about 2 years, so palm oil is used as the main fat with lesser amounts of butter. This doesn't make the popcorn healthier though...both palm oil and butter are saturated fats. And saturated fat is directly linked to heart disease, high cholesterol and other chronic diseases like Diabetes. Okay, microwave popcorn sounds disgusting. Can I Eat Pre-Popped Popcorn? You'll notice there are many brands of popcorn you can buy that's pre-popped. You'll likely find this bagged popcorn in the junk food aisle along side the potato chips and soda. The reality is that with all processed pre-made foods, the devil is in the details. AND pre-popped popcorn is no different. Bagged pre-popped popcorn cooked in oil or covered in oil should be avoided at all costs. If you see sunflower oil, palm oil, or any other kind of oil on the ingredients list...run away! Pre-popped popcorn with added SUGAR must be avoided. This means sugary kettle corn too. Can I Eat Air-Popped Popcorn? Yes! Yes! Yes! Go for it! You can eat air-popped popcorn! 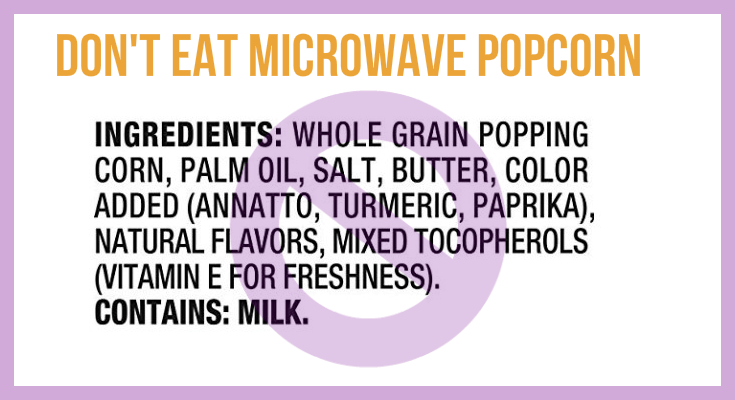 Air-popped popcorn is the healthiest way to cook popcorn because you don’t get all that other stuff like plastic-lined bags and tons of saturated fat and salt! What About Butter and Air-Popped Popcorn? If you choose to use a butter-type topping, choose a non-dairy 'vegan butter'. That way you won't be eating so much saturated fat. Dairy products can also be problematic for women with Prediabetes, so you should avoid them. How Much Air-Popped Popcorn Can I Have? A suitable serving of air-popped popcorn is 3 cups (that's 3 cups AFTER it's been popped!). Check out all the fiber in popcorn. Yippee! So limit your oil-based toppings to a reasonable serving. What Kind Of Air-Popper Does Joan Have? 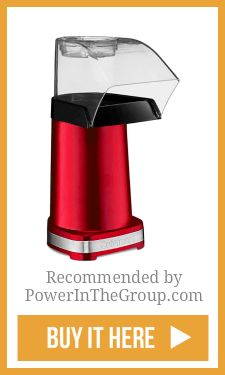 I didn't want to spend hundreds of dollars on an air-popper, so I picked a reasonably priced Cuisinart. So there you have it! 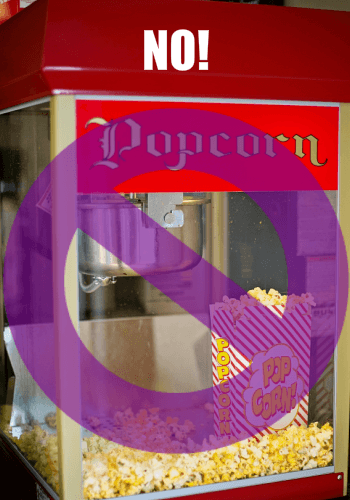 You can eat Popcorn when you have Prediabetes! Just make sure you cook it so it's healthy – that means air-popped only!